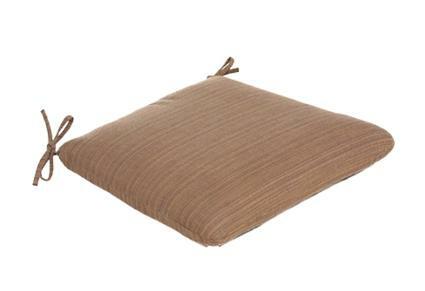 Item #7102 - Curved Front Seat Cushion with ties at the back. Dimensions: 20.5" /18" wide x 18" deep x 2.5" high. Fits: Andora, Ashville, Barrington, Biscayne, Brighton, Concord, Dover, Grandview, Greenwich, Hanover, Hastings, Mayfair, Molise, Orleans, Pinecrest, Sheffield, Stratford, Westfield, Winchester.